Australian Student Climate Walk out: Interview. Riki Lane & Maureen Murphy spoke to Lilly Murphy, a year 9 student who was involved in the student strike for climate action where thousands of students across Australia walked out of class to demand action by the federal government on climate change. 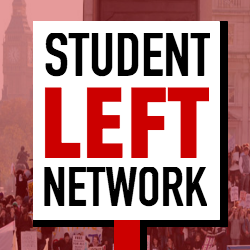 Edited by Natalia Cassidy for the Student Left Network Q) Tell us … Continue reading Australian Student Climate Walk out: Interview.